God the Bible and You! Add our link to your site! A Biblical Approach to Understanding and Applying that with which God has Called and Gifted You! <?xml:namespace prefix = v ns = "urn:schemas-microsoft-com:vml" /><?xml:namespace prefix = w ns = "urn:schemas-microsoft-com:office:word" />A Biblical Approach to Understanding and Applying that with which God has Called and Gifted You! A Basic Definition: The word, Spiritual Gift, comes from the Greek phrase chrismata or sometimes referred to as Charisma, and is defined as, "a gift of grace." This means we, as Christians, are given a favor or a special gift to do the work of ministry on behalf of, and empowered by, our Lord Jesus Christ. In ancient Greek, it was a phrase that a conquering general, giving a gift to the people he had just conquered as a symbol of their dependence upon the conqueror, would use. We are not conquered in spirit, but our Will as a Christian becomes less as He becomes more. Thus, Gifts are also a reminder of our dependence upon Christ as Lord. In the New Testament, the word is used to describe supernatural abilities given to people in the Body of Christ (1 Peter <?xml:namespace prefix = st1 ns = "urn:schemas-microsoft-com:office:smarttags" />4:10; 1 Corinthians 12:7, 11) as a special gift of God's grace. They are not earned by us in any way; rather, they are given graciously to us by the Holy Spirit for the purpose of ministry and Gods glory. Spiritual Gifts are one of two areas of ministry in the church. First are the "assigned offices" such as ministers, elders, deacons, etc. These are the offices of leadership roles (Acts 6:1-6; Philippians 1:1; Titus 1:5-7; 1 Timothy .3:8; 5:17; James 2:15-16). These leaders must have the appropriate gifts of leadership, as well as the Gift in their area of ministry (1 Corinthians 14: 3-40; Ephesians 4:7-16; 1 Peter 4:10-11; Hebrews 13:17), all working together in love and cooperative unity to manage His Church effectively (see,1 Corinthians 13). The second area of ministry in the Church is the Spiritual Gifts that are assigned to each Believer; we all have at least one. These are the abilities to do a specific function in ministry, to glorify Christ with the display of the attributes of Christs character and the parameters of the Fruit of the Spirit, in a specific function that strengthens the Church. These include "pastor/teacher" for the minister, "mercy" to those who visit the sick, or craftsmanship for those who build the buildings. All of these Gifts synergistically build upon one another to do the operational ministry of the Church. When these Gifts are functioning as they are given to us, we become Christs hands and feet in the world. It is each Believers responsibility to find, develop, and exercise the Gifts given to him/her. Some of the Gifts include leadership, teaching, pastoral care, mercy, giving... there are over twenty of them! How we are to behave and interact with one another is governed by the Spirit working through each of us with these Gifts. We must acknowledge our role in the Body; there are no lone wolves in Christ! We have a duty to fulfill, and a role to play. When we refuse to find and use our Gifts, we not only hurt ourselves, but each other and our Lord! The Church is greatly diminished, the work of the Lord given to us is left undone, and opportunities are missed! Spiritual Gifts are alive and well in the world; to deny their existence is to deny the work of the Holy Spirit! It is comforting to deny Gifts, because then we do not have to respond to His call and duty. We can be prideful, lazy, and conceited in our outlook toward others instead. Of course, this thinking is straight from another source other than the Bible and God's call (Matthew 28)! Satan does not want you to discover your Gifts; he wants you to ignore your responsibility and nurture of one another! Well, yes you do; wonderful ones that build you up with growth, maturity, and the Church, as a whole! These gifts keep giving as we give to one another and to the community and world in which we live. A functioning Spiritual Gift is a far greater gift than anything the world can offer. Question: Did you ever wonder why you are given a Gift? Answer: To build up the Body! This study is designed to give an honest, Biblical, verse-by-verse inductive study into Romans as well as other passages concerning Gifts. You will find that God indeed has a gift--perhaps gifts--for you. He has already given them, and they may be knocking on your door. It is our hope to teach you how to open the door to ministry. By this, we can all function better, stronger, and closer to one another, and be all we can be for Christs Glory! We will seek to give you a general overview of Spiritual Gifts. It is our intention to give an honest Biblical teaching of this topic without adding any theological agenda. This is a tough task, as there are so many views on Spiritual Gifts, and it is an emotionally charged subject. There are also many bad and false teachings on this subject, where people read their perceptions and agenda into it without concern to what God is communicating to us. The General Idea: The term, Spiritual Gifts, (pneumatikovß / Pneumakitos spiritual and cavrisma / Charisma for gift in the Greek, is mostly used by Paul except in 1 Peter 4:10) means, abilities characterized or controlled by the Spirit, given by Grace." This subject usually brings a response from Christians from all walks of life and from many Denominations. Some are passionate with excitement, desiring to discover and use their Gifts, while others hide for fear of being convicted to do so. What does the concept of Spiritual Gifts mean? The term means "a gift of Grace." It literally refers to a specific favor or special gift given to a Believer (Romans 5:15; 6:23) to empower them with a special talent and/or an ability to better serve the church and glorify Christ. (Romans 12:6-8; 1 Corinthians 7:7;12:4-7; 13: 8-13; 28-30; Ephesians 4:7-12; 1 Peter 4:10). These Gifts are to edify the church, serve the community, and build personal character and maturity. 1 Corinthians 12-14. Spiritual Gifts cannot be earned or bought by us in any way, shape, or form. The Holy Spirit purely and graciously gives them to us for His clearly defined purposes. Thus, they are to be used to serve the body of Christ, His church, not our whims, ideas, plans, or greed. They are to be used; they are practical, and a church cannot function effectively without them! We are to see His love pouring onto us so we can let is pour from us to those around us. If we remain in our pride, we will remain ineffective! 1. Spiritual Gifts have one of two areas of ministry in the church. (1 Corinthians 14: 3-40; Ephesians 4:7-16; 1 Peter 4:10-11; Hebrews 13:17). They must be all working together in love and cooperative unity. b. Second are the Spiritual Gifts assigned to each Believer. We each have at least one. Spiritual Gifts are the abilities given and characterized by the Holy Spirit. Charisma means that they are Gifts of God's grace. This is imperative to know, because we cannot earn them, and we certainly do not deserve them! They are gifts of Grace, regardless of what you have been taught, or what you think the term "charismatic" means. (It actually means being led by the Spirit, and if you are a Christian, then the Spirit leads you. The question is, are you obeying Him?) On another note, all Gifts are charismatic gifts, since they are all Gifts of Grace by the Spirit. i. Spiritual Gifts enable one to fulfill a specific function in ministry. The effect is to glorify Christ by displaying the attributes of Christs character in a specific function that ultimately strengthens the church. Examples are "pastor/teacher" for the minister, or "mercy" to those who visit the sick. ii. It is the Believers responsibility to find, develop, and exercise the Gifts given. iv. Spiritual Gifts guide us on how we are to behave and interact with one another. v. We must acknowledge our role in the body of Christ. It is His church, and there are no lone wolves in Christ! We all have a duty to fulfill, and a role to play. We have a duty to find our Gifts, then use them for the edification of those in the church and those around us outside of the church to point to Christs glory. When we refuse to yield to His truths and His call, we hurt ourselves, one another, and our Lord! 2. Why do some Christians fear this? Do you? If so, why? 3. Do you have passionate excitement, desiring to discover and use your Gifts? 4. Spiritual Gifts can be scary and may cause us to hide in the fear of coming under conviction of God or moving outside of our comfort zone. Why is this so? 5. What can you do to remove this fear? What can you do to develop trust in our Lord and the wonder He invokes? 6. Why do some Christians deny the existence of Spiritual Gifts? 7. What do Spiritual Gifts mean to you and your church? What can they mean? 8. If you could choose any special talent and/or ability in order to serve Him better, what would it be? 9. Spiritual Gifts guide us in how we are to behave and interact with one another. What happens when we refuse to exercise them? 10. What is your churchs position on Gifts? Does it promote them, hide from them or what? How does your churchs leadership affect the ministry of your church by their position on Gifts? 11. How are Spiritual Gifts determined and used in your church? 12. How would Spiritual Gifts help you to build personal character and maturity? 13. How would Spiritual Gifts help you serve your community? Do you see needs in your community that people in your church, including yourself, could meet? 14. How are Gifts a responsibility? 15. Why do Christians fight over Spiritual Gifts, when the fighting nullifies their true purpose and intent? Spiritual Gifts are alive and well both in the Church and in the world. They are not from a bygone era or only for certain Denominations or individuals; they are for you and your church! God considers them very important, and essential if ministry is going to be effective! For you to be your best for Christs glory, you must take Spiritual Gifts seriously. You must learn about them, be aware of which ones you have, and determine how you can put them into practice. If you neglect to do this, you might well live only a partially effective Christian life, missing key opportunities and essential ministry. Others will be left out of the care and love you and your church were called to give. a. Gifts are services to be performed for others to benefit the church. b. Fruit" speaks of the graces and character traits of Christ we all are to emulate as Believers, to cultivate Holiness (Galatians 5:22-23). 3. What is the difference between a gift and a talent? Most Bible teachers say that we are born with certain talents or natural abilities, but when we are born again we are given Spiritual Gifts. This may be true, but it is interesting that talents being natural and gifts being supernatural are not separate distinctions in Scripture! Therefore, your pastor and a secular professor may be teaching from the same talent/gift that could be used either in a church or in a secular classroom. However, the purpose is the distinction! The secular aspect of talent is to function in society to build a community. If we all had the same talents, we would not have a variety of services and resources in the community. It is much the same in the church. However, the purpose is completely different; in the church, a Gift is to glorify Christ. A secular talent does not do this! The Spirit empowers us further--beyond just the natural talent (1 Corinthians 2:14-15; Galatians 1:15-16). i. All the Gifts are needed, all are essential because they all are designed to edify the Church and glorify God. The church is a body, and while all parts of the body are important, some are more essential, like the brain versus a foot. The Corinthians had trouble distinguishing the importance of the Gifts, hence Pauls letter to them (1 Corinthians 12:31; 14). ii. A prophet is someone who keeps the church on Gods path of truth, and makes sure we do not slip into false teaching. This is not the same as an OT prophet! iii. Tongues and miracles may seem great! However, they do not meet the basic and eternal needs of the Body of Christ like teaching does. To think they are would be like putting the cart in front of the horse! The Bible does not make the case that they have ceased, although they are not considered important. They are like milk for a baby versus the meat of teaching for maturity (1 Corinthians 14:1-25). Those who put the emphases on the signs and wonders miss the point of Scripture and the call of God. It is like saying the hotdogs are more important than the ball game! 2. With the above questions in mind, how can you display the attributes of Christs character, Fruit and Gifts in a specific function that strengthens the church? This procedure is much more accurate and honest than just using an inventory. We have a tendency to read into these tests our desires, not those of the Lords leading. Or, we use them, and are confused because we may not know what the Gifts mean. Use an inventory like the one attached as another source of information, but not your only source! Remember, the Gift He gives you is far more important and powerful than the Gift you may want! If you changed everyone in the Army who is a Private to a General, the best Generals ever, the war would be lost quickly. Because, it is the Privates who do the work, who put the vision and call of the leaders into practice. As Christians, all of us cannot, nor should not, be leaders unless we are called and gifted to be. We all need to do the work He gives, all working together. Remember, Gifts are never a platform for power or control; they are to be in conjunction and in harmony with others. All are important, all are needed; you are important and you are needed! · List those you think you might have. Share this list with someone who knows you, such as a pastor, friend, mentor, or parent who knows the real you, for confirmation, prayer, and encouragement. · List where and how you can exercise your gift(s). 1. What needs exist in your life, community, or world that requires attention, i.e., in your family, local church, city, etc.)? · God will give someone, perhaps you, the Spiritual Gifts necessary to help meet those needs. Ask God what part you should take in helping to minister and serve. · Be on the lookout for needs that God can meet through you! 2. What do you think the Holy Spirit is telling you to do? · The Holy Spirit has given each Christian at least one Spiritual Gift. · The Holy Spirit wants you to exercise that Spiritual Gift. · After you determine your Gift(s) and the Spirits direction in the use of the Gift(s), you must obey Him! 3. Ask yourself honestly, would you naturally choose what the Holy Spirit is telling you to do or, rather, your desires? Usually, your desires are a good starting indication of your Gift, as long as you are honest and grounded in the Word. The problem is that we confuse our desires with our wishes. We need to place the focus on what is real in our life as in our real gifts and abilities by the honest confirmation we receive from godly people and by listening of the Spirit. · Usually, the Holy Spirit will not cause you to do that to which you have no inclination, liking, or sensitivity. In other words, He will not call you to Outer Mongolia to be a missionary unless you have the desire and ability to go! 4. To begin with, what are some natural talents, interests, abilities, inclinations, etc., that you already have that God could use? · Usually the Lord starts with us where we are, not with trying to revamp our whole personality and gifts. He starts with natural talents and interests, and then adds supernatural abilities as we grow in maturity, and as He wills/leads us for His purpose. · Do the Gift(s) that you are using fill you with wonder and excitement, or do you feel a stale obligation? ), considering how comfortable you feel with one or more! · Examine your feelings; what do you want to do more than anything else? However, do not rely on just your feelings! · Is the Gift you have precisely the Gift you want? Make sure it is Gods call, not just your own desires. 5. What do you already do well? 6. What Gifts do others in the Body of Christ, the Church, see in you? · The Holy Spirit does not work with us in isolation from the other members of the Body of Christ. The others are given insight into our giftedness, and we into theirs, as means of checks and balances. We help one another to be honest to God! So, make sure you ask others! · After discovering your Gifts, evaluate your effectiveness with them, as a check and balance to make sure you are exercising the right one(s). But, do not give up, like with sports or music; exercising your Gifts takes time and practice! 7. Based on the above, what Gifts do I seem to have? 8. If you are having trouble with this exercise, reread the Descriptions and take the inventory attached. In this way you will start to get a clearer picture. Make sure you are in prayer! Then redo steps one and two. You may also try to practice with the Gifts that most interest you and see which ones seem to fit and which ones others confirm. 9. Am I willing to check this out with the Lord through heartfelt, surrendered prayer (Galatians 2:20)? The following honest, Biblical definitions of the Spiritual Gifts, as defined by the Bible, are presented in no particular order. These are not meant to be dogmatic or final. The definitions and supporting Scriptures do correspond to the characteristics of the Gifts as also expressed in most Evangelical and Reformed thinking. Some churches and Denominations only acknowledge the Gifts listed in Romans and 1 Corinthians. (Romans 12: Prophecy, Service, Teaching, Exhortation, Giving, Leadership, and Mercy. 1 Corinthians 12: Words of Wisdom or knowledge, Faith, Healing, Miracles, Discernment of Spirits, Tongues, and the Interpretation of Tongues). Many Churches do not acknowledge Tongues, due to its misuse. 1. HELPS: The ability to invest the talents one has in the life and ministry of other members of the body, enabling them to increase the effectiveness of their own Spiritual Gifts (Mark 15:40-41; Acts 9:36; Romans 16:1-2; 1 Corinthians 12:28). 2. LEADERSHIP: The ability to set goals in accordance with Gods purpose for the future, and to communicate those goals to others in such a way that they voluntarily and harmoniously work together to accomplish those goals for the glory of God (Acts 15:7-11; Romans 12:8; 1 Timothy 5:17 Hebrews; 13:17). 3. HOSPITALITY: The ability to provide an open house and a warm welcome to those in need of food and lodging (Acts 16:14-15; Romans 12:9-13; 16:23 Hebrews 13:1-2; 1 Peter 4:9). 4. SERVICE: The ability to identify the unmet needs involved in a task related to Gods work, and to make use of available resources to meet those needs and help accomplish the desired results (Acts 6:1-7; Romans 12:7; Galatians 6:2; 2 Timothy 1:16-18; Titus 3:14). 5. ADMINISTRATION: The ability to understand clearly the immediate and long-range goals of a particular unit of the body of Christ and to devise and execute effective plans for the accomplishment of those goals (Luke 14:28-30; Acts 6:1-7; 1 Corinthians 12:28). 6. DISCERNMENT: The ability to know with assurance whether certain behavior purported to be of God is in reality divine, human, or satanic. The purpose of this gift is to prevent confusion and false teaching from infiltrating the church (Matthew 16:21-23; Acts 5:1-11; Acts 16:16-18; 1 Corinthians 12:10; 1 John 4:1-6). 7. FAITH: The ability to discern with extraordinary confidence the Will and purpose of God, and to propel the body of Believers into actively claiming the promises of God (Acts 11:22-24; Romans 4: 18-21; 1 Corinthians 12:9; Hebrews 11). 8. MUSIC: The ability to use ones voice in the singing of praises to the Lord for the benefit of others, or to play a musical instrument to praise the Lord and for the benefit of others. Remember, worship that is real and authentic is never a performance for us, or a showcase for talent! God is always the audience in worship--not the people in the church! We are the performers to give God our extol and praise (Deuteronomy 3 1:22; 1 Samuel 16:16; 1 Chronicles 16; 2 Chronicles 5: 12-13; 34:12; Psalm 150). 10. MIRACLES: The ability to serve as a human intermediary through whom it pleases God to perform powerful acts that are perceived by observers to have altered the ordinary course of nature (Acts 9:36-42; 19:11-20; 20:7-12; Romans 15:18-19; 1 Corinthians 12:10, 28). 11. CRAFTSMANSHIP: The ability to use ones hands, thoughts, and mind to further the kingdom of God through artistic, creative means. People with this Gift may also serve to lead others in forming their abilities in this area. The Gift may also be used in the areas of maintenance, care, and upkeep for the benefit and beautification of Gods kingdom here on earth (Exodus 30:22-25; Exodus 31:3-11; 2 Chronicles 34:9-13; Acts 18:2-3). 12. HEALING: The ability to serve as a human intermediary through whom Gods healing power is applied to another persons physical or emotional need (Acts 3:1-10; 5:12-16; 9:32-35; 28:7-10; 1 Corinthians 12:9, 28). 13. GIVING: The ability to contribute material and resources to the work of the Lord with liberality and cheerfulness (Mark 12:41-44; Romans 12:8; 2 Corinthians 8:1-7; 2 Corinthians 9:2-8). 14. MERCY: The ability to feel genuine empathy and compassion for individuals who suffer distressing physical, mental, or emotional problems, and to translate that compassion into cheerfully-done deeds which reflect Christs love and alleviate the sufferings as well as motivate others to help (Matthew 9:35-36; Mark 9:41; 1Thessalonians 5:14). 15. WISDOM: The ability to apply spiritual truth to a specific issue in a specifically relevant fashion, and to make proper choices in difficult situations, based on listening and sufficient information (Acts 6:3,10; 1 Corinthians 2:1-13; 12:8; James 1:5; 2 Peter 3:15). 16. KNOWLEDGE: The ability to discover, accumulate, analyze, and clarify information which is pertinent to the growth and well-being of the body (Acts 5:1-11; 1 Corinthians 12:8; 2 Corinthians 11:6; Colossians 2:2-3). 17. EXORTATION: The ability to minister words of encouragement, consolation, comfort, and motivation from Gods Word to help others complete their tasks and be all that God want them to be (Acts 4:32-37; 14:22; Romans 12:8; 1 Timothy 4:13; Hebrews 10:24.25). 18. TEACHINIG: The ability to employ a logical, systematic approach to Biblical study with power and conviction, then to communicate that information in a clear, concise way that is relevant to the health and ministry of the Body and its members in such a way that others will learn (Acts 18:24-28; 20:20-21; 1 Corinthians 12:28; Ephesians 4:11-14). 19. PASTOR/SHEPHERD: The ability to assume a long-term personal responsibil­ity for the spiritual welfare of a group of Believers with love, care, discipleship, and counseling, moving them to a deeper spiritual connection and maturity with Christ (John 10:1-18; Ephesians 4:11-14; 1 Timothy 3:1-7; 1 Peter 5:1-3). 20. APOSTLESHIP: The ability to assume and exercise general leadership over a number of churches, with an extraordinary authority in spiritual matters, which is spontaneously recognized and appreciated by those churches--such as, a bishop. This is not the same as the original twelve Apostles, or Paul (Acts 15:1-2; 1Corinthians 12:28; 2 Corinthians 12:12; Galatians 2:7-10; Ephesians 3:1-9; 4:11-14). 21. MISSIONARY: The ability to minister with whatever other Spiritual Gifts one has in another land or culture (Acts 8:4; 13:2-3; 22:21; Romans 10:15; 1 Corinthians 9:19-23). 22. PROPHECY: The ability to proclaim the Word of God with divine anointing, which brings conviction to the hearers so they recognize that it is truly the Word of God and they must do something about it. A prophet is also someone who keeps the church on Gods path and truth and makes sure we do not slip into false teaching. This is not the same as an OT prophet, which existed before the Word was completed; there is no new teaching or revelation. There are new ways to apply Gods truth but not new truth (Acts 2:37-40; Matthew 7:54; Acts 26:24-29; 1 Corinthians 14:1-3; 1 Thessalonians 1:5)! (Acts 13:1; 21:10-11; 1 Corinthians 12:29; Ephesians 4:11). It generally refers to teaching the Word of our Lord, especially before the compilation of the cannon of Scripture in the fourth century. Some people refer to it as word of knowledge, a receiving of special wisdom and knowledge directly from the Holy Spirit. Scripture supports this, but these "words of wisdom" will never countermand Scripture! This gift may appear in the form of a hunch, insights from the Word, or even more directly, so that one will have more information about what God has given them to do in order to interact more effectively. Most churches that practice this word of knowledge do not use it discerningly, and they elevate their wisdom over Scripture! Hence, we can see why there are so many false teachings in America. 23. EVANGELISM: The ability to share and explain the Gospel message with unbelievers in such a way that men and women become Jesus disciples and responsible members of the body of Christ (Acts 8:5-6; 8:26-40; 14:21; 21:8; Ephesians 4:11-14; 2 Timothy 4:5). 24. PRAYER/INTERCESSION: The ability to pray for extended periods of time on a regular basis and see frequent and specific answers to prayer, to a degree much greater than that, which is experienced by most Christians. All Christians are to exercise this, but the gifted person will go beyond this and motivate and organize others to do so too (Luke 22:41f; Acts 12:12; Colossians 1:9-12; Colossians 4:12-13; 1 Timothy 2:1-2; James 5:14-16). 2. For the Christian, the most significant thing in the universe is who we are to Christ! · We are never to go beyond our self-image at others expense, and especially the Lords. He is God. We are not! and if this is so, one should seek godly help from qualified pastors and counselors.) To continue in a life style of depression (without seeking help) and poor self-image is unnecessary. Christ died to rid us of this kind of shame! · Paul, people, Christians, and ministry all exist because of Christs work of Grace. Never forget who you are! · We must never allow our leadership position, or who we are in Christ to "puff us up!" · A condescending Christian is an "oxymoron" (with the emphases on being a moron!) Like jumbo shrimp, the two terms just do not go together! 3. Unity is the responsibility of the Believer to the church Body. We have unity as well as diversity in the Body. This is necessary to our functioning together. We cannot all be the same. We are to see our differences as filling in each other's gaps and deficiencies (1 Corinthians 12-14; Ephesians 4:7-15). · Be aware of leaders and people who are more concerned for their own needs and agendas than they are for Gods clear doctrine and purpose (Titus 2)! 4. We must practice the Christian faith with a since of urgency. There can be no hesitation to serve the Lord. Else, we will miss vital opportunities. · Put the Gift into practice; assign each person a job in the church that requires that Gift to practice it. · Meet back to discuss and go over one anothers experiences; brainstorm how to be more effective. 1. How do you repay people who tease or joke at your expense? 2. How do you and your church practice hospitality? 3. What does the Body of Christ mean to you? 4. Why are Spiritual Gifts more than just talents and abilities? 5. How can Spiritual Gifts be misused to cause strife instead of unity? 6. What causes Spiritual Gifts to be misused? 7. What happens when Spiritual Gifts are being exercised effectively? 8. Why would we as Christians fight amongst ourselves instead of exercising unity as Christ calls us to do? 9. To serve Christ effectively we must be infused with __________? Why do some people find that so hard to do? 19. What causes a leader in Christ to puff himself up? How does this affect their ability to practice the Gifts? 29. What comes to your mind when the subject of word of knowledge comes up? 30. How can word of knowledge be used today in the church? 31. How and why are some Christians more concerned with their own needs and agendas rather than with Gods clear doctrine and purpose? 35. We are never to go beyond our self-image (will and pride) at anothers expense, and especially the Lords. So, how can you set up a check and balance system for yourself and/or your church to guard against it? 36. What do you need to do to be an over comer, to be one who is not bogged down in depression and a poor me attitude? This is a tough task, but we can do it with our Lord at the helm. Session Five: How to Mobilize the People in your church according to their Spiritual Gifts. This section is primarily for the Church leadership and the Mentor Groups. The Purpose of Spiritual Gifts is to enable us as a community of Believers to better serve one another and our community. They will bring blessings and growth potential for both the ones practicing and the ones receiving the Gifts. They are never for power, for political sake or control, never for manipulation or gossip. Never meant for pride or showmanship, they are to impact your church and community to glorify Christ as Lord! Remember, it is the work of the Holy Spirit to empower and distribute the Gifts to the church Body, and upon each individual in Him. There will be an obvious order in the use of the Gifts, which will clearly point to the Lord. The Gifts will edify the church body. No one person, no matter who they are, will have all the Gifts, nor will all have a particular Gift. Spiritual Gifts are all gifts of Grace, for Gods purpose and determination, to distribute. He is sovereign, and knows best. After the motivational pattern and abilities have been identified in the previous sections now as a leadership you can start to put it all together and organize your people into their roles for His service! Why are you doing church? What is your call? Why are you there? (For more information on this subject, get Preparing the Pastor and Church Leadership to Grow! from Into Thy Word Ministries). How do I organize the people to fulfill the call that Christ gave? The best way is by determining abilities and resources and matching them to the needs of the church and community. Then, get to it! This is using Spiritual gifts, which is very Biblical for each Denomination and church that claims Jesus as Lord! 1. Make sure you have started a Mentor Program from section four! 2. Focus efforts according to Gifts. People work and function best doing what they are called to and gifted in doing. So, if someone has the Gifts of Helps, instruct and encourage them to be deacons or caregivers. The key is to identify their Gifts, instruct them to use them, and place them where they can be exercised. 3. Encourage those in leadership, the congregation, and yourself to spend at least sixty percent of the time spent in service, in the areas of your Gift(s)! 4. Develop a team approach to ministry. Have people with the same Gifts work together. Those with the Gifts of Helps could work together in care giving! This will complement, add mentorship, and fuel the ministry! 5. Group together those whose strengths and gifts complement each other. Do this for yourself, too. This will pair a person who has a lot of experience with someone who is just learning. Also, group people together who are strong in their faith with people who are not. This will also help develop mentoring and discipleship. 6. Develop job descriptions for each area of service--Prayer, Program Ministry gift needs, Worship, Care Giving, Teachers, etc.--so people will know what to expect and will have a guide they can work with later. Be flexible, as it will change and develop as the abilities, time, and needs of the people change and develop. 7. Delegate appropriate responsibilities. The description should name the position, the basic responsibilities or mission theme, the supervisors name, the Gifts and skills that are suggested, the time commitment, and the list of duties. 8. Develop ministry assistants. For every leader in the church you should have an assistant. A small group leader will have an associate leader, a Sunday School teacher will have an assistant, and the deacon will have an assistant, and so forth. As you grow, the assistant will be trained and can break off into the new leadership position or take over for the current one to take a break. Qualified people will be on standby who are already functioning and learning in that position. When they break off as growth comes, they will get an assistant, and so forth. This will solve many of the no-training and empty positions in the church. What has God called you to do? A Spiritual Gift Evaluation. 1. List your top three Spiritual Gifts (usually there is one main Gift and one or more that are significant). 2. List the three or four ministry positions that you enjoy most, and feel most comfortable and effective in (such as discipling, leadership, teaching, evangelism, administration, etc.). 3. Decide which ministry team you would best fit and be the most effective in. 4. After participating in various ministries in the church, decide which one(s) appealed to you the most, and in which ones you could see yourself involved. 5. Decide which ministries of the church have seen successful because of your contribution. 6. Consider the ministries of the church where you have received approval and acceptance. 7. Now compare the first two lists. They should agree, or be similar. The last four instructions will help you clarify. If not, spend time in prayer, seek someone who knows you well, and ask him/her. Make sure your desires are not fueled by political lust or selfish wishes. The church cannot function effectively with people in positions who are there for selfish and prideful reasons. You have to be in service with a surrendered heart (Galatians 2:20)! 8. With your Spiritual Gifts and ministry enjoyments in mind, along with input from others, describe what you believe God has called you to do. 9. When can you be available for such a service? 10. What areas of training do you feel you need most? 11. What can the church leadership do to further equip you to be a better servant for the Lord? 12. What do you think the church leadership needs to be doing? Do not be critical, rather, helpful--with Christ-like character! 13. What do you think the biggest needs in the church are? 14. What do you think the biggest needs in the community are? 15. How long a commitment will you be able to make to serve in the church in your gifting category? 16. Are you willing to be instructed, then instruct and mentor someone else? 17. How can you bring yourself, and others in the church, deeper into the heart of God, to worship and glorify Him? 18. How much time has been spent in prayer during the above process? The church leadership can take these completed forms, compile them in the ministry categories, institute leadership and training, and unleash the laity to do the work they are all called to do! You can make a list of the number of people involved in each ministry team, how many people are needed, what training has been done and what training needs have yet to be accomplished. This list is by no means definitive, nor dogmatic; it is just a guide to point you in the right direction. The Gifts for the job may vary due to experience and education. 1. Teaching and Discipleship roles: The main gifts needed for Sunday School Teachers, Bible Study Leaders, and Small Group Leaders are teaching and/or knowledge. c. Childrens Sunday School Teachers can have a wider range of Gifts, when they have a love for children, and patience. c. Personal witnessing/ door to door: everyone should try this often, but the main gift is that of evangelist. 3. Elders: Leadership, pastor, exhortation, administration; and also wisdom and faith. If there is to be an elder from each ministry team, the representative should have these Gifts, too. 5. Missions: evangelist, missions, wisdom, service. 7. Youth and childrens Ministry: teacher, exhortation, pastor, hospitality, leadership. 8. Counselor: counseling, exhortation, wisdom, intercession. 9. Committee leader: administration, leadership, and gifting in the area of the committee. 10. Treasurer / Finance: administration, wisdom, learned knowledge in finance. 11. Usher: hospitality and service. 12. Nursery Worker: service, mercy, helps. 13. Church Secretary: helps, administration. For effective teamwork, these traits are necessary. They are not necessarily Spiritual Gifts, but they can be learned, and developed. Character and empowerment from the Fruit of the Spirit is essential. Also, honesty, the enjoyment of working with people, knowledge, and the skills necessary in the area of service--or the willingness to learn them--will be a key. Remember, people learn best when they can see a proper model, not just told how. In other words, how you live is as important, if not more important, than what you say! Remember, this is merely a guide. People with other Gifts can serve in positions temporarily out of their Gift range, or perhaps to develop and strengthen a weaker Gift that may not register on a Gifts inventory. For example, almost any Gift can usher, but usually the person with the Gift of Hospitality will enjoy it and do it better. Anyone can research and prepare a sermon, but the person with the Gift of Teaching will enjoy it and be able to do it better. Training is not just another word for discipleship. Discipleship places the emphasis on our spiritual growth, learning the Word, and the disciplines and doctrines of the faith, which are paramount for all Christians. Training is the growth and learning in the area of a task that needs to be accomplished in the church to further the Kingdom of God, such as a program, service, or need. Training is a formal method of teaching someone what they need to know in the best and most pleasant, encouraging, and fun way possible. There are three areas for this, formal class, mentoring, and coaching. Where teaching is a formal group endeavor, and mentoring tends to be a more of an informal one-on-one, coaching bridges the gaps, because you can have specific people assigned who are experienced, and are willing to know and grow and show others. The steps for coaching involve presenting, telling, doing, and encouraging. While much can be learned in training groups and seminars, there is no better way to develop skill and interest than the one- on-one sharing of the skills and abilities than by an experienced person to a less experienced person. Therefore, all three avenues of learning are needed and beneficial. Experience has proven that it is best to have general training, one-on-one mentoring by pairing experienced people with new or less experienced people, and coaches to inspire, lead, and encourage the way, so everyone is doing his best to procure the best ministry possible. Consider having the experienced people in your church be coaches to the inexperienced, mentoring them. Perhaps you can develop a complete program for this endeavor! Your primary task is to involve and equip people to serve our Lord! 1. First, meet privately with the interested person, get to know him, and have him observe a working class or team. Interest can be found from personal recruitment, or evaluation from a Gift Inventory, such as seen above. 2. Make sure he fills out the Spiritual Gifts Inventory and Evaluation. 3. Have a training class. Give people an overview of the churchs mission and plan-- what God has called you to do. c. Introduce the team in place. d. Go over mission and goals. e. Orient them with the position; Listen to testimonies from others in that position. f. Go over the duties and expectations. g. Give clear examples on how to accomplish tasks. h. Have plenty of Q & A.
j. Use videos, tapes, and denominational resources. k. Go over the job description. l. Provide resources; offer a book or two to read. m. Have a class field trip to another similar program. 4. Personal follow-up: You and someone on the team interview them for Q & A, what is expected, etc. Have them observe the class/team again, and get feedback from them. Keep in mind a team approach, encouragement, and support. This is Christ working in you and them! · Analyze the skills and gifts that are needed by listing what is and what could be involved. Talk with several people who do the ministry well, ask other churches, get as much info as you can, then boil it down as simply as possible. · Think it through, and determine the necessary steps you want the trainee to learn and do, and the priority of each. What strategies and plans are you going to develop to make the coaching meaningful? · Demonstrate the process. Show how to lead a small group or how to be a good usher; this cannot just be learned from a lecture. Give the overview and steps, then role-play, put them to work, and come back for Q&A. · Keep in mind that most people respond best to practical hands-on training, so make sure you are also providing learning-by-doing, making the process as interactive and hands-on as possible. · What set of observations could you provide where the trainee can observe the skills in action to give them ideas? · Good training and coaching involves good listening. Coaching differs from teaching in that you walk through the process with the trainee. · Set up a library to provide reading and video resources. · Have a good discussion with the trainee to determine his willingness and readiness for serving. Give plenty of latitude and patience for volunteers. · Inexperienced people will need patience as they are personally led in what to do. More experienced people can learn faster by discussion, then, turned loose. · Make sure the trainee knows he is cared for and loved! This means you need to have good eye contact and listen to the other person. Give the other person your undivided attention. Show that you care! · Do not forget questions in your discussion and interactions. Good questions should be brief, clear, focused, relevant, constructive, open-ended, and conveyed conversationally. Start your discussion with the usual factual questions. Then move to the descriptive and explanatory questions, but do not forget to ask hypothetical questions such as, What if we did this instead? What if we added this or took away that? What then? Then move to alternative questions where the learner has to make decisions. This keeps the person thinking. Finish your questions by summarizing and clarifying them. · Be aware that previous bad experiences by the trainee will case doubt and mistrust; so, make sure you allow them the time to process. · Do not put too much pressure on the trainee! · Assist them in choosing effective methods and Biblical curriculum. · The training and coaching process should be like mentoring, and be a relational process. · A good coach should realize when to hold people back and when to push them out of the nest to make them fly. · Good management of people requires listening, patience, tact, and feedback. All relations with the trainee must be made sensitively, in love and encouragement! Remember, this is a process, and, as with anything, expect a learning curve with the people and the programs in general. It has to be practiced a number of times, thought through and talked through a number of times, and given a lot of prayer before you see the goals you desire. · Some people learn better with linear curriculum where the steps are carefully listed. Others would rather see the big picture first and then they can easily fill in the details. It is best to have both an overview of the big picture, as well as a list of the steps, one by one. · Encourage the trainee to ask you questions, and make sure that you listen carefully to him. · A coach will need to come along aside the trainee or volunteer if and when they get dumped on or yelled at by an angry person. They are to be protected, and the situation needs to be resolved with love, encouragement, and affirmation. · Be aware that when you mentor and disciple others, you will have an enormous influence on their lives! Thus, to the best of your ability, watch what you say and do, remember the character of Christ, and do your best to model Him. · Make sure that your trainee and others sense that the goal and purpose is worthwhile and important. If not, effective ministry will not happen! · Make sure they realize that they are part of the process of bringing the church deeper into the heart of God to worship and glorify Him! · When the trainee gets more experience and is more comfortable, encourage him to do the task apart from your direct supervision. Never turn people loose without supervision, especially children and youth! At the same, time make sure they know that the door is open and they are welcome to ask questions. Take the initiative to follow-up, and visit the trainee in action, because many people forget or just will not ask for help. · Make sure the trainee and volunteer can relate well to the age level they serve and lead. · Follow up with the trainee and everyone else occasionally, asking them for feedback about their role and the program. Some questions might be, What do you like about your assignment and the goals? What do you not like? What concerns do you have? How can we improve? Where appropriate, ask others for similar feedback. · Make sure you reward and celebrate individual progress as well as team progress and success. People need external support and recognition not only from the pastor, but also from people outside of their team or program. Recognition and rewards motivate people to do more and give more, but most importantly, it shows that they are cared about! · Have a system to recruit and train leaders, coaches, and mentors. Usually, these will be volunteers who have served for several years in the ministry for which you are recruiting. Make sure these are open to and capable of learning the ministry goal distinctions and supporting the purpose of the church, as well as being committed, mature Christians, (maturity has nothing to do with age!) able to lead and manage that ministry under the goals of the church. Make sure you check out our Church Leadership Channel for thousands of dollars of Church Growth and Leadership articles and helps that have taken over twenty years of research and development--offered to you for free! The other articles in our Into Thy Word Leadership Primer all converge and synergistically combine to help you grow your church to glorify our Lord! Richard Joseph Krejcir is the Director of Into Thy Word Ministries, a discipling ministry. He is the author of the book, Into Thy Word, and is also a pastor, teacher, and speaker. He is a graduate of Fuller Theological Seminary in Pasadena California. He has amounted over twenty years of pastoral ministry experience, mostly in youth ministry, including serving as a church growth consultant. Allow me to Introduce you to Into Thy Word Ministries. We are dedicated to teaching people all over the world how to study the Bible in a simple, clear, and concise way! We do this through seminars, missionary efforts of training pastors overseas, church leadership development, curriculum, and our interactive website resources and online Bible studies! It is our purpose and call to provide Christians with the most effective tools and the most effective means to better understand and apply Gods Word into their lives. 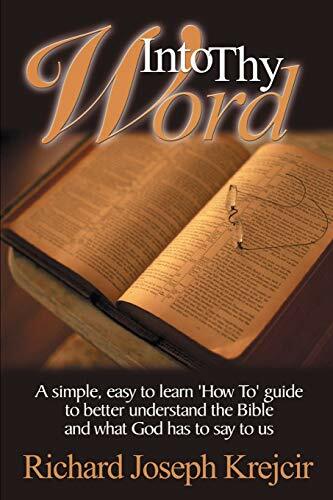 Into Thy Word Ministries was founded in 1988 with the start of our seminars on How to do Inductive Bible Study, and the publication of a seminar booklet, How to Study the Bible. This booklet was introduced in Russia a year before the wall came down, starting our mission efforts of training pastors how to study and teach the Bible effectively. Our booklet was published into a book in 2000, called Into Thy Word. (See the How to Study the Bible and Resources channels on our Website for more information). We then started to train pastors and missionaries fulltime overseas in 1998 targeting Russia, China and now, India. We then incorporated as a (pending 501(c) 3) ministry in 2001 (prior to that, we were a church-based ministry) with the launch of our interactive website, at the personal request of Billy Graham and Mission America founder, Paul Cedar. We now do over 70% of our mission and outreach through the Web. It is more cost effective to send a computer to Russia rather than a missionary team. Then, we can do the training online! We also have missionaries and pastors all over the globe who use our training curriculums and materials. · We are a Bible-centered ministry that firmly believes in the inerrancy and power of the Word. We are also Reformed in distinction, and Evangelical in nature. · We provide curriculum and seminars on How to Study the Bible, and many more which we have been doing since 1988. · We train pastors and missionaries overseas with quality Pastors Training Packs that have taken over twenty years of research and development. · We provide discipleship tools and resources for Christian growth to Pastors, Church Leaders, and Christians all over the world--free of charge. · We are a Christian Mission organization that is solely supported by your gifts and financial contributions. 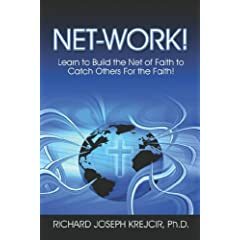 · Any on-line bookstore such as bn.com or amazon.com or iuniverse.com. Just type the name of the book, into thy word, in their search engine. You can also purchase it from our Website. · Any Christian bookstore through Ingram Book Distributors as a special order. · Or, you can call, 1-877-823-9235. PRAYER  So the word gets out that learning how to study the Bible is important. In Matthew 9:37, 38 Jesus said, "The harvest is plenteous, but the laborers are few." We need dedicated missionaries to teach Biblical exegetical methods to pastors in Russia. We also have many other places of opportunity. GIVE - We are a missionary endeavor, carrying out Christ's Great Commission. This requires money. With few exceptions, most of us could give more for the Lord's work. We need to raise support for our expenses in teaching people how to study the Bible. HELP  We are always looking for people to translate our Pastor Training Packs into different languages. We are also looking for people to distribute them! READ - our new book, Into Thy Word, so you will gain more practical insights and encouragement for your study and devotions. 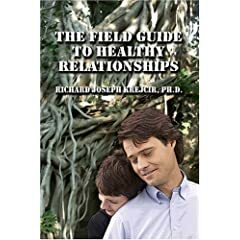 This book is a product of over twenty years of ongoing research and study! Even seasoned Pastors find this work insightful. PROMOTE  by spreading the word about the Into Thy Word ministry, and how people can get more out of their Bible! If you have a website, please consider adding our site to your links page. BUY  You may purchase any resources, from books to cars, on our Website through our association with Amazon.com. We then receive a commission that goes to our missionary efforts of training overseas pastors in solid Biblical precepts and leadership principles. It is our purpose and call to provide Christians with the most effective tools and means to better understand and apply Gods Word into their lives. Please see About on our website for more information, statement of faith, and how you can better understand His Word. Please consider spreading the word about Gods Word, as we teach Biblical principles, how people can get more out of their Bible, and their growth in Christ through our ministry! In the spaces below, list your gifts in descending order of score. Use the List of Gifts (http://www.cforc.com/sgifts.cgi?help) for further study. How to build your faith and share your faith without fear even without opening your mouth! Discovering Biblical Precepts to the <?xml:namespace prefix = st1 ns = "urn:schemas-microsoft-com:office:smarttags" />Building of Lasting, Quality Relationships! Join our EZINE Bible Study! Click here to translate into the language of your choice!